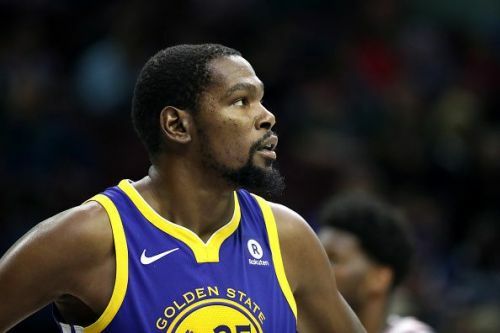 The Golden State Warriors ended their two-game losing streak after beating the Philadelphia 76ers 120-117 at the Wells Fargo Center. All-Stars Klay Thompson (knee soreness) and Joel Embiid (knee tendinitis) were ruled out due to injuries but the game lived up to the hype. Kevin Durant came up big and scored 34 points to lead the Dubs to a victory. The Warriors came into the game after back-to-back losses against the Miami Heat and Orlando Magic. A win against the 76ers means that the Warriors maintain their No.1 spot in the Western Conference and better their record to 44-19. Steve Kerr's men ended the road trip with a win as they head back to the Oracle Arena to host the Boston Celtics in their next match. For the Philadelphia 76ers, they remain 4th in the Eastern Conference after this tough loss. The team clearly missed Joel Embiid who leads the teams in points per game averaging 27.3 points every night. They will host the Orlando Magic in their next game before heading for a two-game road trip. Here three talking points from the game. 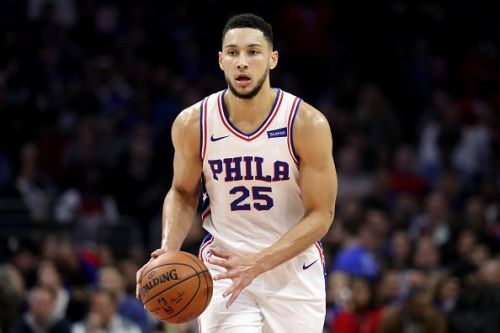 Simmons, who had himself a triple-double against the Oklahoma City Thunder continued to ball out as he scored 25 points, grabbed 15 boards and dished out 11 assists against the Warriors. He is averaging 20 points, 10.8 rebounds, and 7.6 assists a night in his last 5 games. In this game, Simmons couldn't carry his team past the finish line but he lead the 76ers in all major statistical categories. He played a versatile role in this match as a player playing at the point guard spot but got into the paint often and caused a lot of problems for the Warriors defense. Not only was he a scoring threat during the entirety of the game, but he was also a great facilitator setting up easy shots for his teammates. After making his debut All-Star appearance, Ben Simmons has been on a roll. He has to lead the 76ers without Joel Embiid for a positive record through the last 5 games.